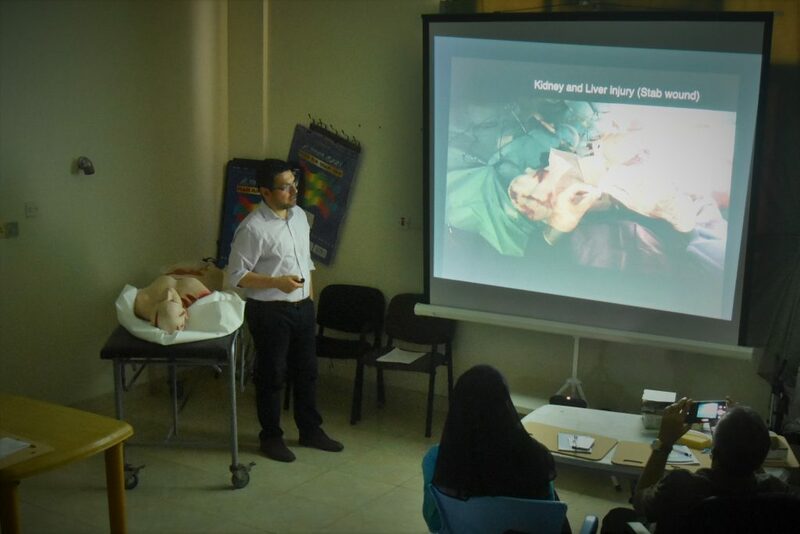 The David Nott Foundation ran two HEST courses in Aden, Yemen in January 2019 with the support of Médecins Sans Frontières. 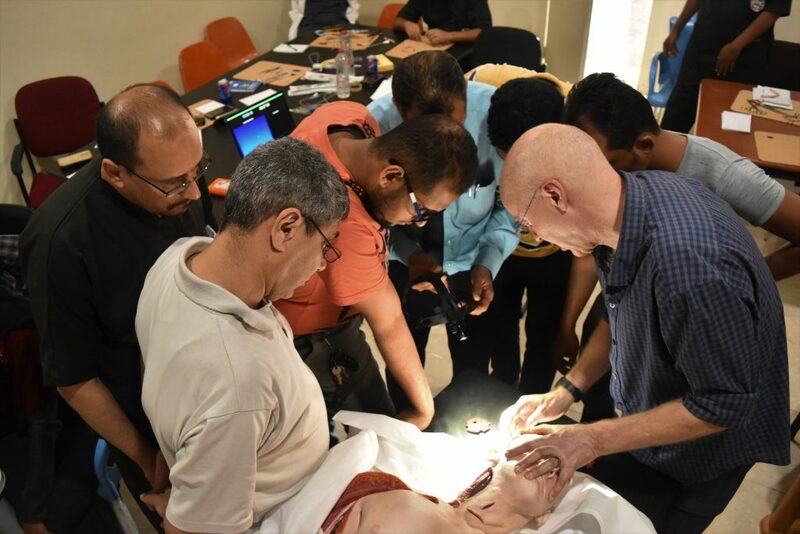 These two HEST courses were the first occasion that the Foundation’s whole body simulator was employed for training and supporting it was a suite of individual models of organs, blood vessels and key anatomies with which the students could train. 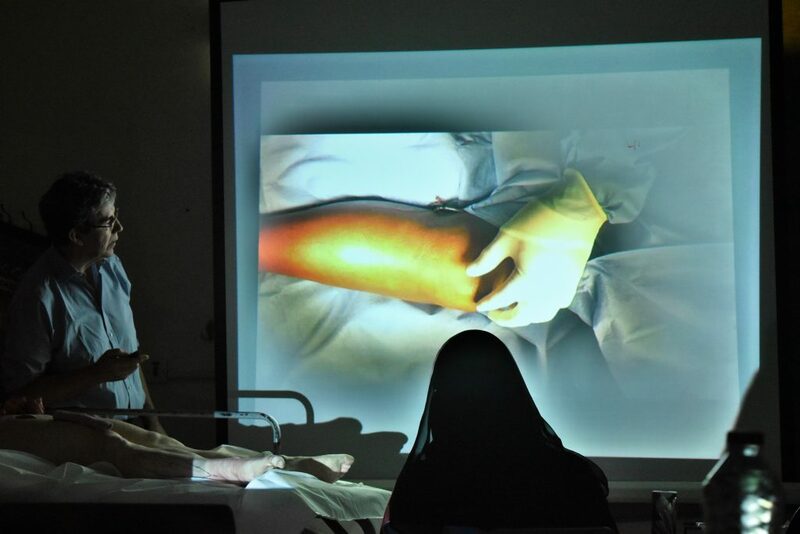 For the obstetrics modules, the Faculty used its commercially-sourced obstetrics simulator enabling each surgeon to practise multiple Caesarean section deliveries as well as neonatal resuscitation. The Faculty trained 52 students over the two courses. 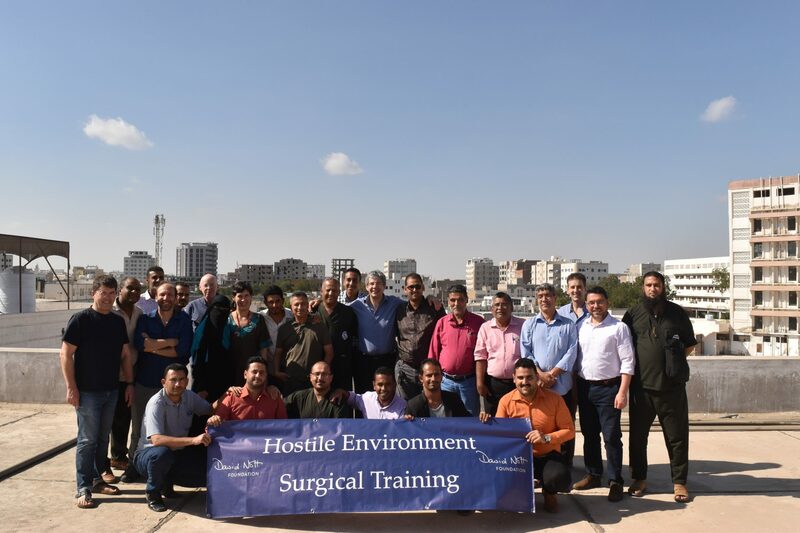 20 surgeons and doctors from across the country came for the first week and demonstrated a high level of experience and skill, and engaged well with all the training, even putting some of it into use the same day once they returned to theatre. By the time the second course started the work had spread and many more than expected turned up to start, with some having to be turned away to keep the numbers manageable. 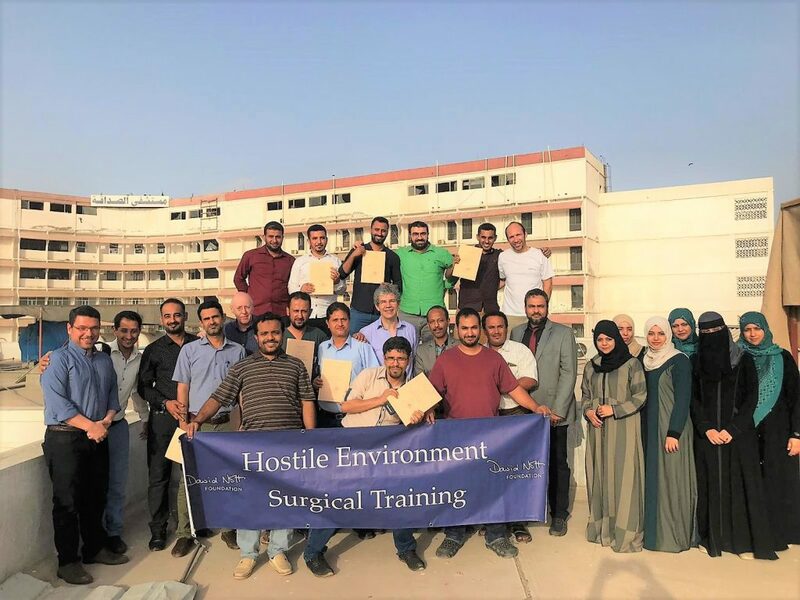 Particularly interesting was the attendance of five surgeons who had previously attended a HEST course delivered by David and team in Aden in 2016. Among those was a highly respected female surgeon; the only in Aden and possibly the only in Yemen, who had only recently qualified. In the three years since she had come to be regarded as a one of the best there and consistently impressed the Faculty. Such was her appetite to learn that she even sat in on some of the sessions in the second week to make sure it was all sinking in. 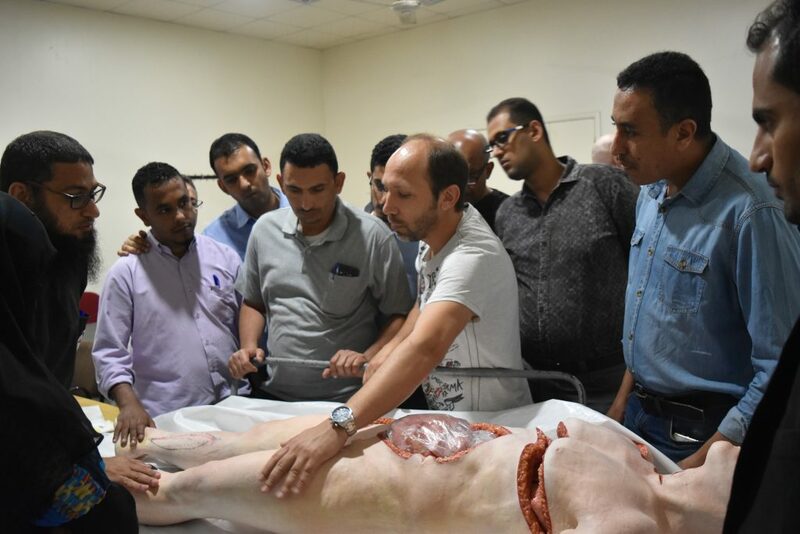 There is no doubt in our minds as to the value of the courses in Yemen and the evidence of and potential for making a very real difference to the surgical outcomes for patients not only treated by the surgeons we taught, but also those to whom the training, techniques and procedures can be cascaded. 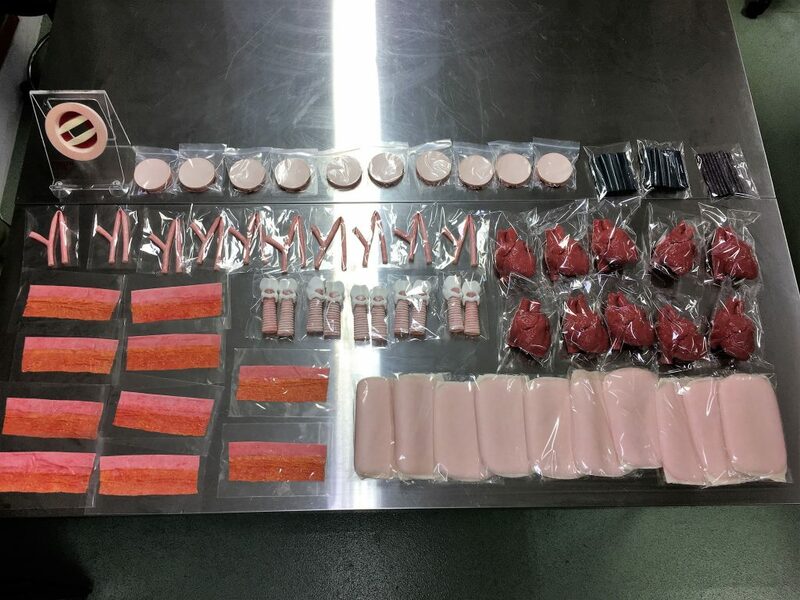 The impact that the models have made is exceptional; they have transformed the course and are now invaluable training aids for almost all components of the syllabus. 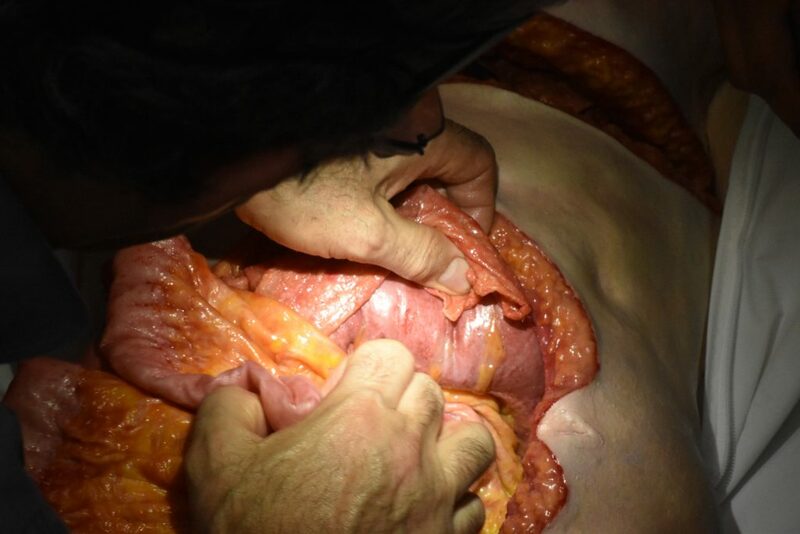 Both the surgeons that have trained with the models, and the David Nott Foundation faculty that have used it in their teaching, have been emphatically enthusiastic in their feedback about the value it brings to the training. Both the surgeons that have trained with the models, and the David Nott Foundation faculty that have used it in their teaching, have been emphatically enthusiastic in their feedback about the value it brings to the training.